We then moved to a second main question, namely, when will the rapture take place relative to the coming seven-year Tribulation period? We offered the contention that believers can develop certainty that they will be raptured before the Tribulation period occurs for at least seven reasons. First, the Tribulation period's purpose concerns Israel rather than the church. Second, there is no reference to the church as being on the earth in Revelation 4–19. Third, the church has been promised an exemption from divine wrath. The fourth reason is that the rapture is an imminent event and only the pretribulation view is in harmony with this doctrine. The fifth reason is that only pretribulationalism is in harmony with the New Testament's presentation of the rapture as a comforting event. 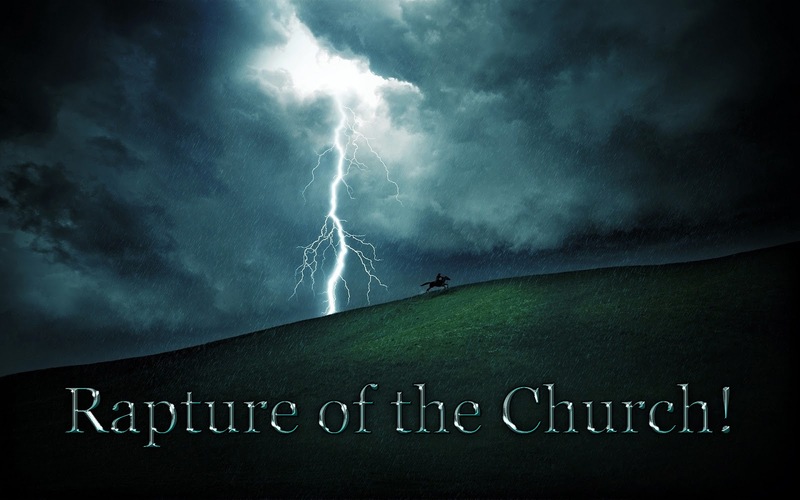 The sixth reason that the rapture will take place before the Tribulation period begins is because the Antichrist cannot even come forward until the Holy Spirit's restraining ministry through the church is first removed. The seventh and final reason that the rapture will take place before the Tribulation period begins relates to the fact that the symbolic parallels of the days of Noah and Lot mandate that God's people must first be taken out of harm's way before the pouring out of divine judgment. Now that we have dealt with these two questions, we will begin to explore some of the weaknesses associated with the other competing views that seek to answer the question, "when will the rapture take place relative to the coming Tribulation period?" Recall the various views on the timing of the rapture relative to the impending Tribulation period. At least five differing perspectives exist. First, pre-tribulation rapturism holds that the rapture will occur before the Tribulation period even begins. This is the position that has been defended in this series. Second, mid-tribulation rapture theory asserts that the rapture will take place in the middle of the coming Tribulation period. Third, post-tribulationalism contends that the rapture will take place at the end of the coming Tribulation period. This view typically sees no distinction between the rapture and the Second Advent and thus seeks to harmonize all references to Christ's return as taking place at the end of the future Tribulation period. Fourth, pre-wrath rapturism maintains that, because the wrath of God does not begin until the final twenty-five percent of the Tribulation period, the church will be present for the first three quarters of the Tribulation period only to be raptured to heaven just before the wrath of God is poured out during the Tribulation's final quarter. Fifth, partial rapturism maintains that only those believers who are truly living for Christ at the time of the rapture will actually participate in the rapture by being removed from the earth at that time, thereby leaving behind the carnal or backslidden believers to experience the events of the Tribulation period. At the onset, it is important to understand that all of the non-pre-tribulation positions have a difficult time handling the seven arguments favoring pre-tribulationalism previously discussed in this series. In other words, mid and post-tribulationalism as well as pre-wrath rapturism fail to explain how the church could be a placed in a future time period where God is primarily dealing with Israel rather than the church, where the church is never mentioned or even alluded to, and when God's wrath is directly being poured out. They also do not acknowledge the New Testament teaching on imminence or that the rapture is the very next event to occur on the prophetic horizon rather than some other eschatological occurrence. Nor do they consider that the doctrine of the rapture is a comfort. They also fail to explain how the church could still be present after the Holy Spirit's restraining ministry is removed. They also do not harmonize well with the symbolic parallels concerning the days of Noah and Lot. Beyond these initial problems, the competing positions also contain several other weaknesses and inadequacies. Let's begin our discussion with mid-tribulationalism. Mid-tribulation rapture theory asserts that the rapture will take place in the middle of the coming Tribulation period. Those adhering to the mid-tribulation rapture typically rely on at least one of the following three arguments to support their position. In the last article, we began the process of enumerating and briefly responding to each of the three arguments used to justify the mid-tribulation rapture position. We responded to the mid-tribulation argument that although the church is exempted from God's wrath, the church will be on the earth during the first half of the tribulation period because God's wrath will not actually begin until the second half of the tribulation period. In the prior article, we observed that contrary to the belief of mid-tribulationalism, the wrath of God is a phenomenon that appears at the earliest part of the Tribulation period. In this article, we will scrutinize the second and third arguments used by the mid-tribulationalist. "And they heard a loud voice from heaven saying to them, 'Come up here.' Then they went up into heaven in the cloud, and their enemies watched them." The mid-tribulation rapturist believes that this verse is describing the rapture of the church. Because the event described in Revelation 11:12 will take place toward the middle of the Tribulation period, the mid-tribulation rapturist believes that the rapture will take place halfway through the tribulation period. However, Revelation 11:12 is not a reference to the rapture of the church. In fact, this text has nothing to do with the removal of the church from the earth. When studied in context of the entire 11th chapter of Revelation, it is merely speaking of the two Jewish witnesses being removed from the earth near the middle of the Tribulation period after the completion of their ministry. Thus, only through a rejection of the time-tested and consistently applied literal method of interpretation and, instead, by wildly allegorizing the contents of Revelation 11 can it even be argued that the Tribulation activity of the two witnesses represents the church or the body of Christ and her rapture to heaven. 3. According to 1 Corinthians 15:52, the rapture will take place at the sounding of the last trumpet which, according to Revelation 11:15, will take place roughly half-way through the tribulation period. 1 Corinthians 15:52 teaches that the rapture will take place at the sounding of the last trumpet. The mid-tribulation rapture proponent believes that this trumpet is described in Revelation 11:15 and will be sounded halfway through the tribulation period. Because the trumpet of Revelation 11:15 is mentioned alongside events related to the temple, which will be desecrated midway through the Tribulation period, the mid-tribulation rapture position is largely built upon the notion that the rapture will take place at the sounding of the last trumpet (1 Corinthians 15:52) which the mid-tribulation rapturist believes will sound near the midpoint of the tribulation period. However, the last trumpet mentioned in 1 Corinthians 15:52 is not the same trumpet mentioned in Revelation 11:15. The major problem with this view is that the trumpet of 1 Corinthians 15:52 is described much differently from the trumpet of Revelation 11:15. This leads to the obvious conclusion that 1 Corinthians 15:52 and Revelation 11:15 speak of two different trumpets. When Paul mentioned the last trumpet in 1 Corinthians 15:52, he had in mind the rapture occurring with the last trumpet of the Church Age. He was not referring to the last of the trumpet judgments described in Revelation 11:15. Paul's use of the word "last" in 1 Corinthians 15:52 refers to the last in a series rather than the last ever. Such a method of communication would be the equivalent of my wife telling me that she was first going to go the grocery store and last she was going to drop off the laundry. Here, she would be using "last" only relative to first going to the grocery store rather than saying this would be the last time ever she would pick up the laundry. Paul uses the word "last" in the same sense in 1 Corinthians 15:52. Beyond this, the trumpet of Revelation 11:15 is not even the very last trumpet in God's eschatological program. The very last trumpet to be sounded in the Tribulation period is not found in Revelation 11:15, but rather is found in Matthew 24:30-31 and will be sounded in harmony with Christ's Second Advent at the conclusion of the Tribulation period. In other words, the Midtribulation scheme assumes that the last trumpet will be sounded at the Tribulation's midpoint. Yet, this assumption seems unfounded in light of Matthew 24:30-31. In sum, having previously answered the question, "what is the rapture? ", we noted at least seven reasons that affirm the pretribulational rapture view. We then began interacting with the other positions on the timing of the rapture. Starting with mid-tribulationism, we noted at least three deficiencies with this position. Mid-tribulationism errs in failing to consider that the wrath of God begins early on in the Tribulation period, that Revelation 11:12 is only describing the rapture of the two Tribulation witnesses rather than the church's rapture, and the last trumpet of 1 Corinthians 15:52 is different from the seventh trumpet of Revelation 11:15. Norman L. Geisler, Systematic Theology , vol. 4 (Minneapolis, MN: Bethany, 2004), 650, n. 109. J. Dwight Pentecost, Things to Come: A Study in Biblical Eschatology (Findlay, OH: Dunham, 1958; reprint, Grand Rapids, Zondervan, 1964), 189-91.